Western music is usually written on a staff. People were talking long before they invented writing. People were also making music long before anyone wrote any music down. Some musicians still play “by ear” (without written music), and some music traditions rely more on improvisation and/or “by ear” learning. But written music is very useful, for many of the same reasons that written words are useful. Music is easier to study and share if it is written down. Western music specializes in long, complex pieces for large groups of musicians singing or playing parts exactly as a composer intended. Without written music, this would be too difficult. Many different types of music notation have been invented, and some, such as tablature, are still in use. By far the most widespread way to write music, however, is on a staff. 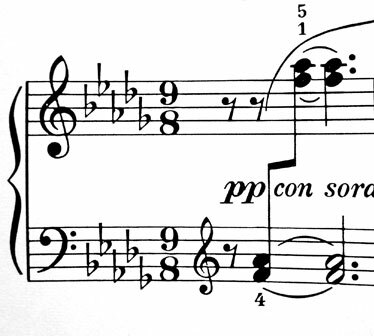 In fact, this type of written music is so ubiquitous that it is called common notation. Many different kinds of symbols can appear on, above, and below the staff. 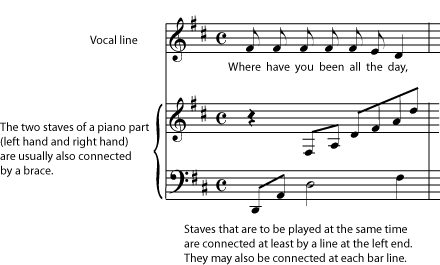 The notes and rests are the actual written music. Other symbols on the staff, like the clef symbol, the key signature, and the time signature, tell you important information about the notes and measures. 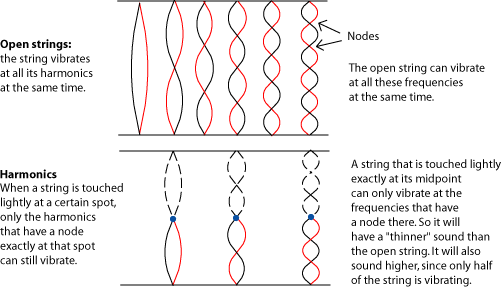 Symbols that appear above and below the music may tell you how fast it goes (tempo markings), how loud it should be (dynamic markings), where to go next (repeats, for example) and even give directions for how to perform particular notes (accents, for example). A notes stands for a sound; a rest stands for a silence. There are many other symbols on and around the staff that give directions for playing the music; the most important of these symbols give the clef, the key signature, and the time signature. But it is the notes and rests that are the actual written music. 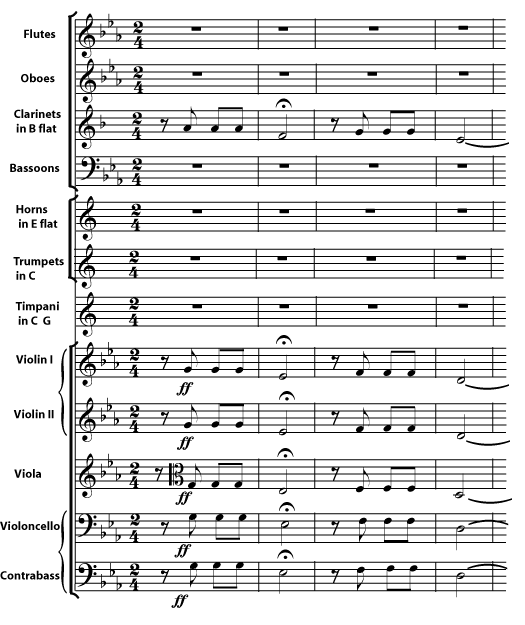 When many staves are to be played at the same time, as in this orchestral score, the lines for similar instruments – all the violins, for example, or all the strings – may be marked with braces or brackets.